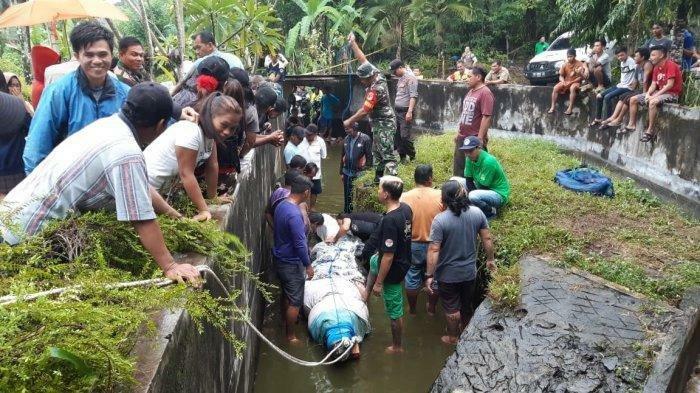 An Indonesian scientist is believed to have been eaten alive by a crocodile she was feeding at a laboratory in North Sulawesi. Officials believe that 44-year-old Deasy Tuwo was feeding the 5-metre-long crocodile some meat when she was dragged into the enclosure by the reptile on Friday morning. The crocodile, called Merry, was found by the laboratory’s staff with the victim’s remains still in its jaws. The staff at the facility, CV Yosiki Laboratory, say that the reptile, who is fed fresh chicken, tuna and meat every day, has been known to attack other crocodiles in the past, but no fears had been raised that it may attack humans. 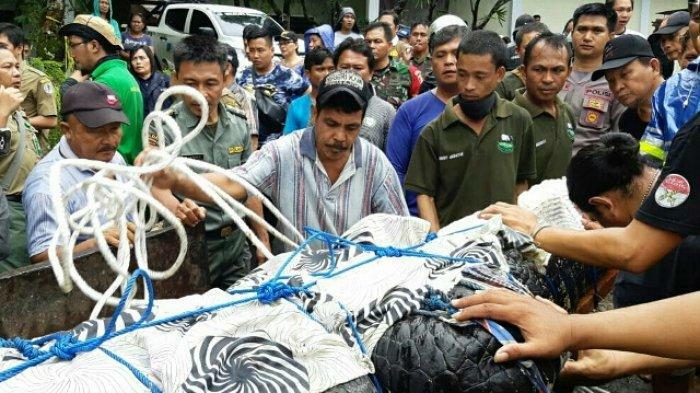 Merry the crocodile was captured today in the city of Tomohon and was pictured strapped to a flat-bed truck to be taken to a wildlife rescue center in Bitung district where tests will be carried out on its stomach to confirm that he had eaten the body parts. Police are now trying to locate the owner of the crocodile after the incident. He is believed to be a Japanese businessman who opened the research facility. He was not at the centre at the time of the incident.